Continuing my exploration of The Niagara Escarpment, this past weekend I visited a place that has long held some mystery for me. 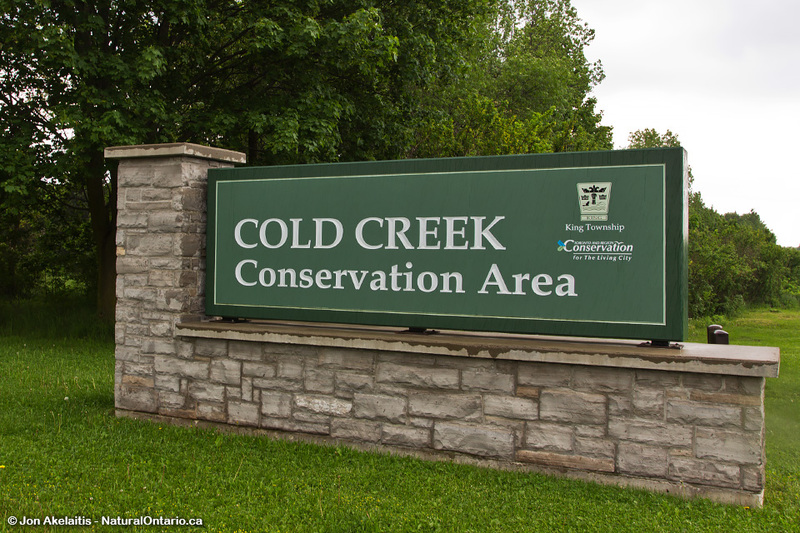 A lot of my trips involve driving along Highway 10 and, once you pass Orangeville, you’ll begin to see signs for Hockley Valley Provincial Nature Reserve. I always kept telling myself I needed to check it out but by the time I’d get home it would have slipped my mind. So when I started searching for places to visit this past weekend and Hockley Valley kept turning up in my search, I took it as a sign that I really needed to go. I kept digging but trying to find an accurate trail map turned out to be really difficult. All I could find was an artistic representation with no scale and a web site that said I should prepare for a lot of hills on a route that would hopefully be about 15km. Thankfully, things became clearer (and a lot more interesting) once we made it to the southern trail head. The first thing I noticed when we saw the official trail map was that I was going to have make an adjustment to my plans. Without having a scale on that trail map I found earlier, I initially picked a route that would have taken me all day to complete! We quickly pieced together a new route that was more in line with the 15km I was hoping for and it was fairly straight forward. Blue markers out, white markers home. That trail combination was going to take me through 4 side trails and then home along The Bruce Trail with minimal overlap for a total of about 14-15km. 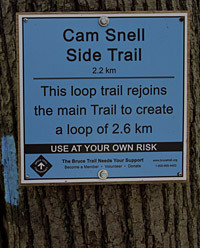 The second thing I noticed was that this part of The Bruce Trail was part of the Friendship Trail Program and linked to the Jeju Olle Trail. As soon as I saw the sign I remembered reading about the partnership, so it was really a neat surprise that we were going to now hike it. It doesn’t actually change anything on the trail, it was just something a little different. So, after gathering in all that information, we were off on our hike! 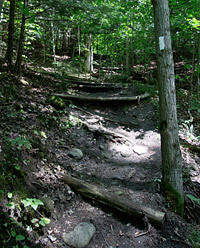 Right away I noticed that the trail was a lot rougher than most of other places I had visited in Southern Ontario. I think I snagged my toes more on this hike than on all my previous hikes combined! There are a lot of roots and rocks sticking up so you really have to watch where you’re going. I also noticed that the post I read wasn’t kidding about the hills! You’re constantly going up or down and it will definitely test you. This was the first time I ran out of water on a hike, and it wasn’t even hot out. I would definitely recommend going out on the side trails and finishing on The Bruce Trail as the side trails were much more difficult. They even had a big switchback to make it up the one hill. That’s the first time I’ve seen one in an Ontario park! Of course with all the hills there are going to be streams running everywhere. 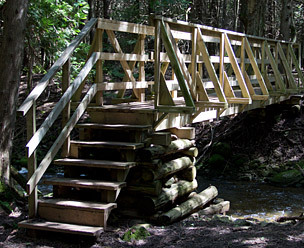 The park is filled with small bridges that made crossing the water a lot easier. The whole park seemed to be really well maintained as all the steps and bridges were in great condition. It’s even more remarkable considering the parking is free! I’ve been to a few places that charge an arm and a leg to park and are nowhere near as well maintained as Hockley Valley. Overall we had a great and exhausting day. The hills did their best to knock us down but they didn’t defeat us. The park is really tranquil but not overly scenic. There are a lot of fallen trees and greenery is everywhere but there isn’t much of a view given all the hills. I’d definitely return to Hockley Valley Provincial Nature Reserve for another hike, especially since I still need to figure out where my original plans would have taken me! All content and images © 2012-2014, Natural Ontario. All rights reserved.